What do you think of when you hear ‘influencer marketing’? Do you immediately think of celebrities posting paid-for Instagram posts showcasing consumer products accompanied with #ad? Or do you think of brands organically building relationships with influencers to form an army of brand advocates? If you think the latter, then great, we are on the same page! But unfortunately, a large proportion of brands are still in the mindset of the former, in the belief that in order to get results, you need to part with some money. While we advocate the fact that if you view influencer marketing as a long-term strategy you can build organic relationships with influencers without paying them a penny, there are some circumstances when payment of some sort may be appropriate. A brand’s view on influencer marketing will vary depending on whether their efforts are more industry-led with a focus on an influencer’s skill and creativity, or if they’re more product-focused with access to an influencer’s audience being front of mind – this tends to be what differentiates typical approaches in B2B from B2C. An influencer’s role, type and persona also plays a huge role in determining whether paying an influencer is entirely necessary. 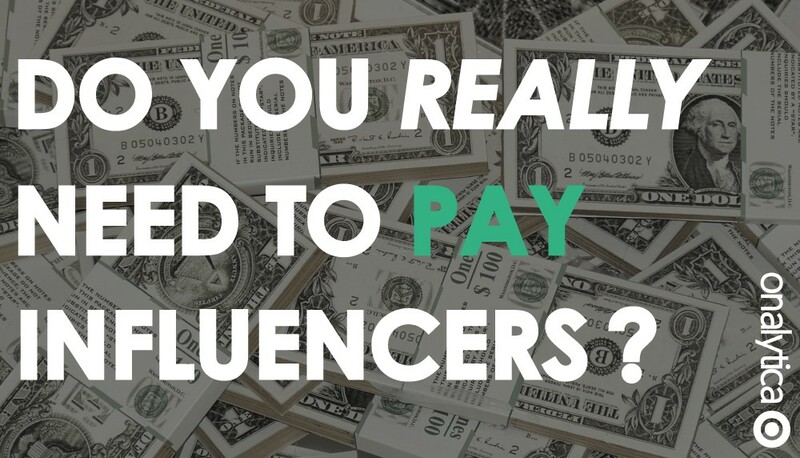 Read on if you’re not sure whether you should be paying your influencers or not. What influencer types require payment? 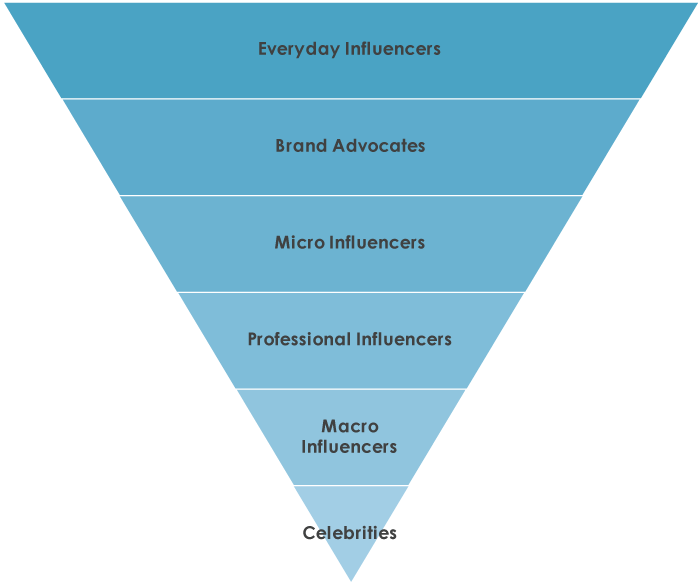 What is your influencer’s day job? Is it relevant to your brand? Is this why they’re influential? Would you want to work with this influencer because of their creativity, knowledge and expertise, or simply to access their audience? What kind of content do they tend to post? Is it written content or picture content? Do you want the influencer to work for you or with you? What can you offer this influencer in exchange for working with you? Is there something other than money? An industry expert, as the category title suggests, is an expert in a particular topical area. They have an abundance of knowledge and something to bring the table if you were to work together on some content that both of your audiences will love. They may not necessarily have a large following, but this is something you can help with, either by using your brand as a platform, giving them access to your audience, or by driving more traffic to their site. A celebrity on the other hand will have a large social following, but they may not be influential in a specific topical area that is relevant to your brand. They can give any brand exposure to their audience, including your competitors if they bid more money. Topical communities are great influencers to engage and slowly build relationships with, while brand advocates are already out there advocating your brand and just need identifying and activating. 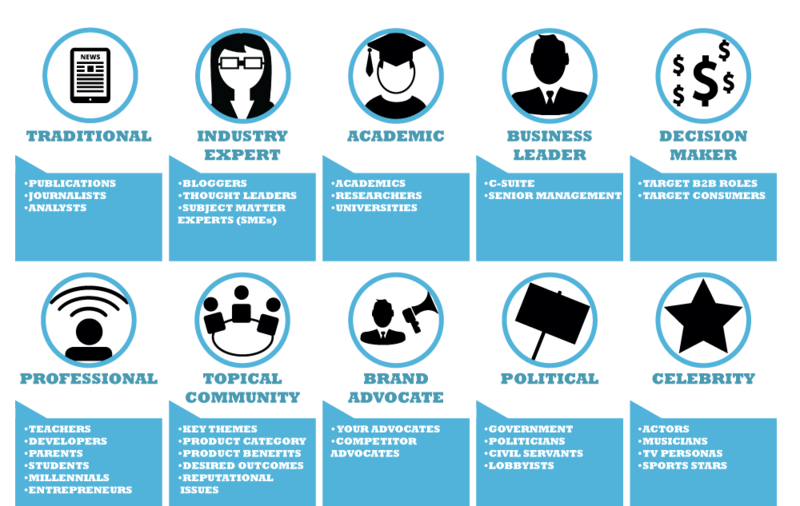 Understanding the differences between influencer roles is absolutely vital to help you understand whether you can activate them by paying them, or organically. Influencer type is looking at whether an influencer’s main attribute is their knowledge, skill & creativity, or the size of their audience. An everyday influencer has a small audience (1 to 1k followers) with high levels of trust and engagement. They won’t consider themselves influential, but can influence buying decisions. E.g. an individual with 300 followers posting an Amazon review, updates about their product purchases on their social media platforms, or recommending products directly to family & friends. To pay or not to pay: Everyday influencers do not require payment. Brands can encourage and entice their customers to post reviews of purchased products, or to refer family and friends with unique discount codes. Brand advocates’ follower numbers can come in at either end of the spectrum (1 to in the millions). They’re advocates of brands that they know, love and trust; whose audience highly trust their opinion. E.g. an individual with 700 followers that loves and regularly visits their favourite restaurant, and posts an Instagram post each time they go. To pay or not to pay: Brand advocates are already loyal fans that are voluntarily posting content about your brand, so payment isn’t required. Brands can leverage this type of influencer organically by giving them free access to their products. Micro influencers have a larger following than an everyday influencer, but still relatively small (1k – 2k). Their audience are very engaged with high levels of trust. They publish content that is relevant to particular topics. E.g. an Artificial Intelligence influencer with 1.5k followers contributing a prediction/quote to a brand’s blog post on the future of AI. To pay or not to pay: It may in some cases be appropriate to cover a micro influencer’s time and/or expenses, but not always. Brands can organically engage and build relationships with micro influencers by interacting with influencers’ content to get on their radars, before inviting them to contribute to their content. Professional influencers are likely to have a high global reach (20k-100k), with their outbound engagement only being to a select group of fellow professional influencers. E.g. a knowledgeable and experienced content marketing influencer with 55k followers writing a white paper on content marketing strategy for a marketing agency. To pay or not to pay: Professional influencers tend to be paid to give talks and presentations at conferences, or to write longform pieces of content such as whitepapers and ebooks. Brands can engage and build organic relationships with professional influencers if they have great value to offer the influencer. Macro influencers have a large following (100k – 300k) that has been established over a long period of time. They are very widely known, and may even be regarded as being ‘famous’ to some. E.g. an influencer posting fashion and beauty videos on YouTube to their 250k subscribers. To pay or not to pay: Due to an increasing volume of requests, they may be managed by a talent agency and therefore less approachable on a 1-1 basis. It is possible to engage a macro influencer organically, albeit more of a challenge. Celebrities have a large following (300k +) but with much lower levels of engagement. They’re more likely to be followed because of who they are, rather than what they know. E.g. a reality TV star with 400k followers being paid by a consumer brand to endorse their products on Instagram. To pay or not to pay: Celebrities are much harder to engage with organically, and tend to work with brands on a paid, non-exclusive basis. 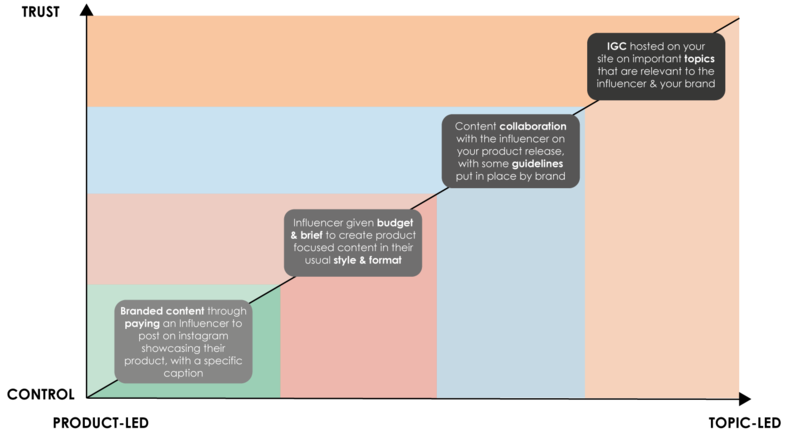 This focuses on the way in which an influencer shares content, and where they sit in the wider influencer community. Creators – they create and share their own original content. This kind of influencer is great to co-create some content on. If the content is mutually beneficial to both audiences, then payment isn’t necessarily required. Curators – less focus on creating their own content, but rather sharing others’ content. Brands can build relationships with content curators in the hope that they start to recognise and share their branded content. Alternatively, a short term approach would be to pay the influencer to share their content with their audience for a quick win. Conversation starter – they provoke conversation and debates on social media. Brands can get on the conversation starters’ radars by 1) entering the conversation and/or 2) starting conversations and debates themselves to provoke the influencer to get involved. Connectors – influencers that are well connected to the wider influencer community. Influencers like this thrive off meeting new people and expanding their network. Brands can invite connectors to their events where they have the opportunity to mix with other influencers and broaden their network. Commentators – reacting to industry news, breakthroughs and content. These kinds of influencers are great to approach for blog post contributions. If you’re giving the influencer some brand exposure, then this can be done organically. Are you topic-led or product-led? This largely depends on which department ‘owns’ influencer marketing in your organisation and what their objectives are. A B2B finance brand’s social media team focusing on increasing brand awareness or changing brand perception could work with an industry expert to create some content together on the topic of FinTech. Due to the influencer’s expertise, there is a higher level of trust, and less need for the brand to control or brief the influencer as they’re very well aligned. On the other end of the spectrum, a beauty brand wanting to increase the demand of one of their products may opt to work with a high-profile influencer, while maintaining maximum control through a brief. Paying influencers to work with you is absolutely fine, so long as you’re not buying their opinion. For example, if an influencer requires compensation for their expenses and time to travel to a conference, or to write a piece of content. The important difference, is that you’re just facilitating the influencer to come to their own conclusion and opinion of your brand rather than coercing them. Influencer marketing has become a thing, because consumers were sick of hearing about how great brands were by the brands themselves. It’s like you’re ignoring a friend, but they keep getting another mutual friend to pass on messages to you. What’s the difference? Are they any more likely to listen? People trust people, so let them be people rather than a walking billboard. Paying an influencer doesn’t necessarily have to mean paying them directly into their pocket. Why not give an influencer the budget to create some really great content in their usual style and format that both yours and their audience will love? I’m going to come back to my Casey Neistat example yet again as it is such a great example of how a global brand with a large budget have collaborated with a well aligned macro influencer. Nike collaborated with Casey Neistat. 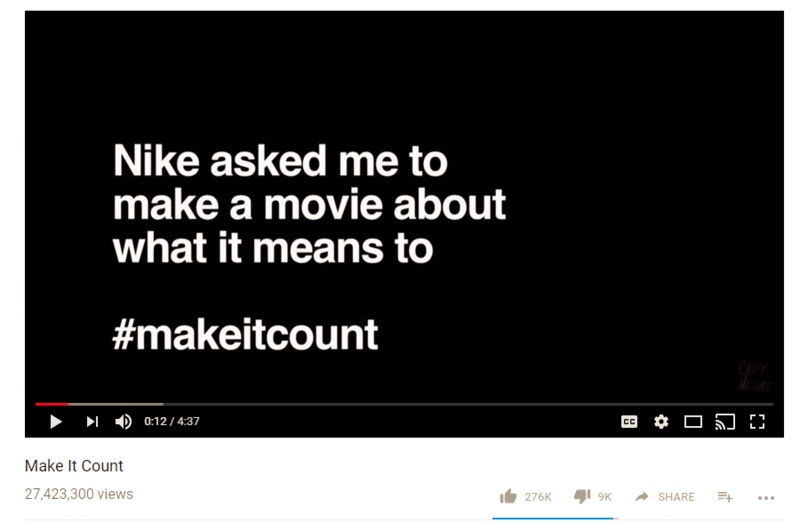 Casey Neistat is a well-known creative filmmaker on YouTube. Nike understood that a standard product placement wasn’t quite going to quite hit the mark on creating value and something worth watching for his audience. What Nike did instead, was pay for Casey to travel the world, showcasing how Nike’s fuel band can help people live their life to the fullest. They utilised Casey’s skill set, facilitated Casey to produce some familiar content that his audience would love all while showcasing the product – they recognised why he is influential; why his followers follow him, and they helped him grow and achieve 28 million views to date. 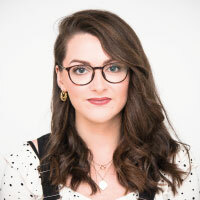 If you would like to speak to an Onalytica consultant on how you can improve your influencer engagement strategy, get in touch by clicking the button below.